As a leading provider of Rhode Island Alzheimer’s care, the dedicated staff at Home Care Assistance knows firsthand that caring for someone with Alzheimer’s or another form of dementia comes with many unique challenges, and caregivers need support and care, too. The following books can give you new ways to manage the challenges of caring for a loved one with memory loss as well as insight into the disease itself. Joy A. Glenner et al. This short book discusses the importance of communication with other family members to give your loved one a better quality of life and give you the support you need as the primary caregiver. When Your Loved One Has Dementia offers a basic overview of the issues you will encounter with the disease and the challenges you may face, including sections on how to manage behavioral problems and how to communicate with someone who has memory loss. This book focuses on the early stages of the disease to help caregivers cope with the behavioral and cognitive stages of Alzheimer’s. This should be one of the first books you read as it offers realistic strategies to cope with caregiver stress as well as first-person accounts from other Alzheimer’s and dementia caregivers. 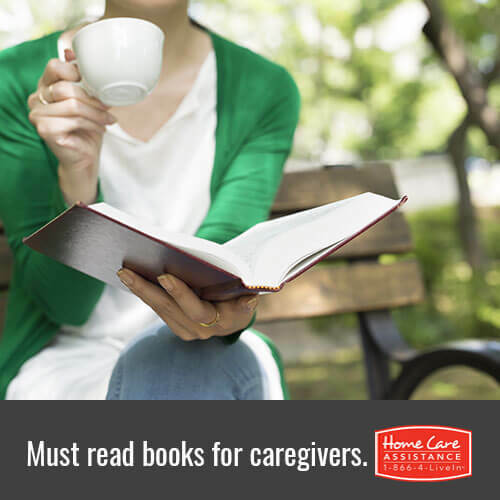 The 36-Hour Day has been one of the most highly recommended books for caregivers for nearly three decades. This book goes into great detail on many important issues, explaining not only the many cognitive changes you may recognize in your loved one but how to best support your family member. This guide by the Mayo Clinic offers an overview of how different forms of dementia affect the brain in plain language. It also offers helpful advice to manage behavioral problems, administer medication, and make your home safer. For more information on caring for a senior loved one with memory loss or to find additional support and resources, reach out to Home Care Assistance at (401) 284-0979 or https://www.homecareassistancerhodeisland.com/. Our experienced Care Managers are available 24/7 to answer questions, discuss long-term care options, and help in any way possible.